The Church celebrates today great solemn feast of Saints Peter and Paul, it is also the 60th anniversary of Pope Benedict’s priestly ordination as well as the day the See of Constantinople sends a delegation to Rome to pray at the tombs of the two great saints and to meet with the Pope. Plus, it is the day in which the metropolitan archbishops who have been appointed in the last calendar year come to Rome to receive the palium (see below). 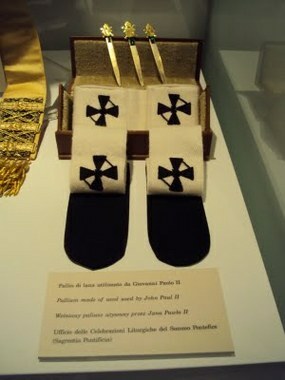 The USA has for archbishops receiving their pallium today: San Antonio, Oklahoma City, Seattle and Los Angelos. 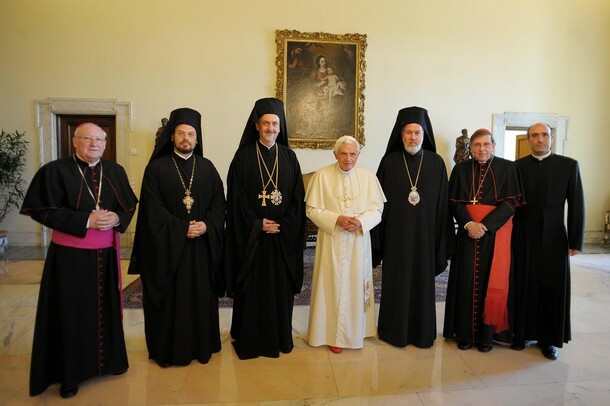 All four of these archbishops are under 60. Watch the video clip. “Non iam dicam servos, sed amicos” – “I no longer call you servants, but friends” (cf. Jn 15:15). Jesus’ words on friendship should be seen in the context of the discourse on the vine. The Lord associates the image of the vine with a commission to the disciples: “I appointed you that you should go out and bear fruit, and that your fruit should abide” (Jn 15:16). The first commission to the disciples, to his friends, is that of setting out – appointed to go out -, stepping outside oneself and towards others. Here we hear an echo of the words of the risen Lord to his disciples at the end of Matthew’s Gospel: “Go therefore and make disciples of all nations …” (cf. Mt 28:19f.) The Lord challenges us to move beyond the boundaries of our own world and to bring the Gospel to the world of others, so that it pervades everything and hence the world is opened up for God’s kingdom. We are reminded that even God stepped outside himself, he set his glory aside in order to seek us, in order to bring us his light and his love. We want to follow the God who sets out in this way, we want to move beyond the inertia of self-centredness, so that he himself can enter our world. After the reference to setting out, Jesus continues: bear fruit, fruit that abides. What fruit does he expect from us? What is this fruit that abides? Now, the fruit of the vine is the grape, and it is from the grape that wine is made. Let us reflect for a moment on this image. For good grapes to ripen, sun is needed, but so too is rain, by day and by night. For noble wine to mature, the grapes need to be pressed, patience is needed while the juice ferments, watchful care is needed to assist the processes of maturation. Noble wine is marked not only by sweetness, but by rich and subtle flavours, the manifold aroma that develops during the processes of maturation and fermentation. Is this not already an image of human life, and especially of our lives as priests? We need both sun and rain, festivity and adversity, times of purification and testing, as well as times of joyful journeying with the Gospel. In hindsight we can thank God for both: for the challenges and the joys, for the dark times and the glad times. In both, we can recognize the constant presence of his love, which unfailingly supports and sustains us. Yet now we must ask: what sort of fruit does the Lord expect from us? Wine is an image of love: this is the true fruit that abides, the fruit that God wants from us. But let us not forget that in the Old Testament the wine expected from noble grapes is above all an image of justice, which arises from a life lived in accordance with God’s law. And this is not to be dismissed as an Old Testament view that has been surpassed – no, it still remains true. The true content of the Law, its summa, is love for God and for one’s neighbour. But this twofold love is not simply saccharine. It bears within itself the precious cargo of patience, humility, and growth in the conforming of our will to God’s will, to the will of Jesus Christ, our friend. Only in this way, as the whole of our being takes on the qualities of truth and righteousness, is love also true, only thus is it ripe fruit. Its inner demand – faithfulness to Christ and to his Church —seeks a fulfilment that always includes suffering. This is the way that true joy grows. At a deep level, the essence of love, the essence of genuine fruit, coincides with the idea of setting out, going towards: it means self-abandonment, self-giving, it bears within itself the sign of the cross. Gregory the Great once said in this regard: if you are striving for God, take care not to go to him by yourselves alone — a saying that we priests need to keep before us every day (H Ev 1:6:6 PL 76, 1097f.). In the past days the story of Father John Corapi’s taking a break from the Catholic priesthood has been circulating. 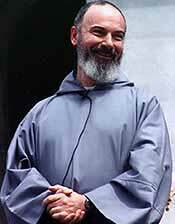 In the meantime, read the current news of Father Corapi, 64, on his blog, The Black Sheep Dog. Distressing indeed and a situation that requires guidance from the Holy Spirit. So, pray to Saints Padre Pio and John Neumann and John Mary Vianney for their intercession. Corapi’s account of the situation and the process of investigation for innocence (or guilt) is too problematic. The problem with the case is not with Father Corapi –yet there are questions that persist– but in the process of coming to truth. Or so it seems. May the Most Trinity, shower grace on us. 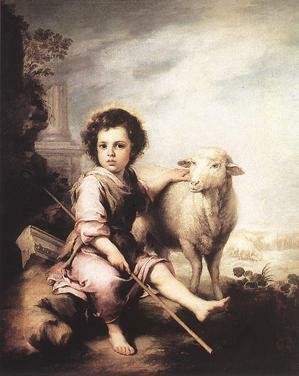 Good Shepherd Sunday: which are the authoritative voices that guide you? Good Shepherd Sunday, the Fourth Sunday following the great feast of Easter, is celebrated today by the Church. Today is a day in we all focus on the tenderness of the Lord and smoothing quality of his voice gently calling us to deeper and fuller communio with him. 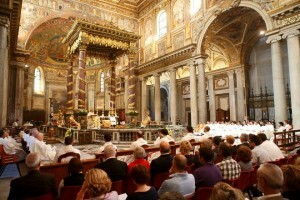 The Fourth Sunday of Easter is the day in which the Holy Father draws our attention to vocations in the Church (priest, brother, sister, nun, deacon, perhaps consecrated lay person) for one’s salvation but also for the glory of God in the proclamation of the Gospel and in the iconic life of a Catholic in the sacraments. 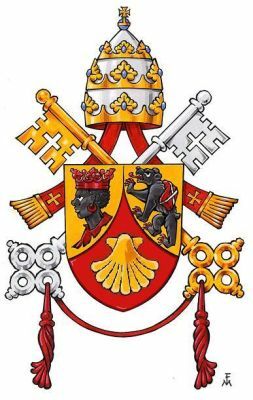 As Blessed John Paul said in Pastor Bonus, “the task of its [the Church’s] shepherd of pastors was indeed to be that service ‘which is called very expressly in Sacred Scripture a diaconia or ministry'” (1). Benedict’s message for the 48th World Day of Prayer for Vocations can be read here. 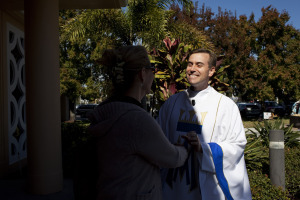 The Florida priest, Father David Toups, is doing what he’s been called to do: to be a faithful priest proclaiming the Presence of Christ through preaching the Gospel, praying the Mass, administering the sacraments and being an authentic father of souls. A recent article makes the case. In his backyard one can’t avoid the scandalous behavior of the now former Catholic priest and media personality, Albert Cutié, when talking about the meaning and ministry of a Catholic priest.